Which Dutoit will show up? The Phila. Orchestra's temporary conductor can be disengaged on the job or a hard worker. Charles Dutoit, shown in '99, is to be a four-year chief conductor. For many, the news that Charles Dutoit and the Philadelphia Orchestra have a future together came across as a bit of high drama. Even members of the orchestra were caught off guard. Dutoit? After all, the Swiss-born conductor was passed over here for the job of music director twice - in the early 1990s when an entire industry admired him for putting the Orchestre Symphonique de Montréal on the map, and a decade later when his career was, arguably, no longer on quite as sharp an ascent. Dutoit's shot at leading this orchestra had come and gone, or so it seemed. Last week, he was named not music director but to the interim and less powerful position of chief conductor and musical adviser for four years, while the orchestra looks for a real music director. His name sounds positively retrograde. The New Yorker's Alex Ross registered his blog response under the headline "Podium tedium." Another blogger titled the news "Yawns in Philly?" Underwhelmed reactions are understandable. Dutoit is a musical safe harbor, a responsible caretaker who has an established rapport with the musicians (and who is willing to raise money). Rafael Frühbeck de Burgos would have been a more daring and inspired choice. But what Dutoit ends up meaning to this ensemble - whether the assumption that he and the orchestra cannot find artistic growth in the four years, starting in 2008-09, is true - is far from a settled question. Great things can happen, and often do, when least expected. Most of all, how fruitful this partnership ends up being depends on which Charles Dutoit shows up for the job a year and a half from now (and in concerts as a guest conductor starting this week). Will it be the slightly jaded Dutoit, who in recent years sometimes turned in disengaged, glib interpretations? Or will it be the harder-working Dutoit, who carefully cultivates the orchestra's sound and programs repertoire that is both meaningful and entertaining? Dutoit is unquestionably a huge talent. He hears things going on in the orchestra that very few others can detect. He has the same ability Wolfgang Sawallisch had to right an ensemble problem with little more than a dirty look. He obviously cares about what makes this orchestra special. He has had guest and titular relationships with top orchestras worldwide; he did not need to stick around all these years since 1980. Dutoit's recent guest-conducting years in Philadelphia, and his considerable discography, have clouded his profile a bit. He has a reputation as one of the most penetrating interpreters of French repertoire, an accurate impression as far as it goes. But for those of us who heard him at the Mann Center in the early 1990s, and more recently at the orchestra's other summer home in Saratoga Springs, he is much more. Dutoit assembles programs that are populist but not pandering. At the Mann, he led a cycle of Mahler symphonies. He brought us Janácek, Bartók, Stravinsky, Orff, Elgar, Wagner and Berlioz - not to mention Tchaikovsky and Mozart. He always conveys the sense that there's not a composer he doesn't know how to handle. He also has a rare awareness of what audiences want, even when they don't quite know it themselves. I remember a series of lesser-known Rachmaninoff works he brought to the Mann - The Bells, for instance - for which listeners were immediately grateful. Albert Roussel's Suite No. 2 from his ballet Bacchus et Ariane had no name recognition, but the music itself was gracious and friendly. Dutoit also has an appreciation for the Philadelphia Orchestra tradition with certain repertoire: Sibelius, Rachmaninoff, Dvorák. This kind of expertise is programming gold, even more so now than a decade and a half ago. There are other good reasons for those who think they know the man to think again. 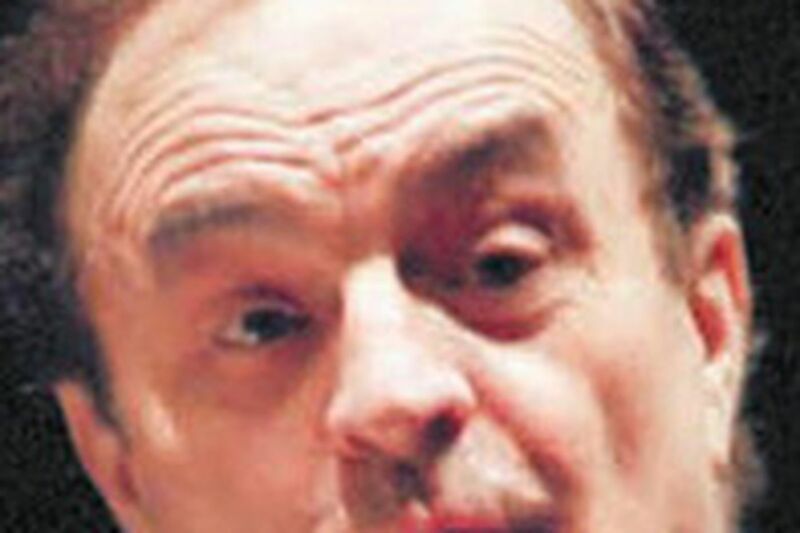 Even at 70, Dutoit might not be a settled artistic personality. Sawallisch was one kind of conductor when he started here (at 70): authoritative, businesslike, sometimes boring. A few years later, he was on fire. Dutoit will be charged with a new sense of purpose, and it is unlikely he accepted the job only to mark time. He will have new ideas about programming; he will bring a fresh list of guest soloists. He will want to make a statement. He unquestionably sees this as a crowning moment. And let's not forget that having him here as chief conductor still gives the orchestra plenty of room for nurturing relationships with others. He will lead only eight subscription weeks in Philadelphia for each of his first two years, then seven weeks for each of the two years following. That leaves space for increasing the number of weeks each year with Vladimir Jurowski, even allowing enough time for a principal guest conductor, if one happens to be chosen. A certain amount of cynicism and impatience with the orchestra leadership is understandable. After all, the Dutoit decision is the consequence of a mistake: Christoph Eschenbach. He was thrust upon the musicians, and it didn't work out. But the orchestra now, under new management, is acting prudently. It has bought itself five years to develop a relationship - organically - with a new music director. If it does its job right this time, the orchestra will surprise no one the way it did when Eschenbach and Dutoit were appointed. If the process works, all of the orchestra's constituents will say, upon hearing the name of the eighth music director: "Of course." Contact music critic Peter Dobrin at 215-854-5611 or pdobrin@phillynews.com. Read his recent work at http://go.philly.com/peterdobrin.